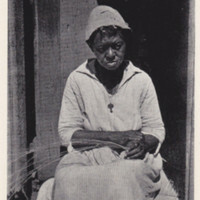 African American woman basket weaver in Charleston South Carolina, Bayard Wootten, circa 1930. 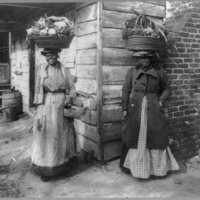 African American women carrying baskets on heads, circa 1920, courtesy of Library of Congress. 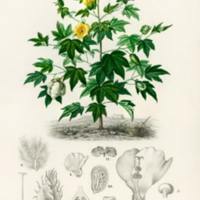 Gossypium barbadense from Charles D’Orbigny’s Dictionnaire Universel d’Histoire Naturelle, 1849. 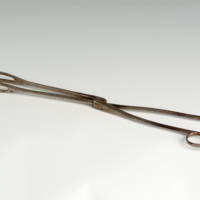 Dr. Loomis Obstetrical Forceps, 1860, courtesy of Waring Historical Library Artifact Collection. 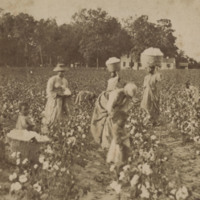 Stereo card depicting women and children working in a cotton field, courtesy of Avery Research Center For African American history and culture. 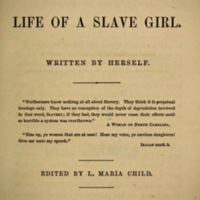 Cover page from Incidents in the Life of a Slave Girl, Harriet Jacobs, 1861, courtesy of Boston College. 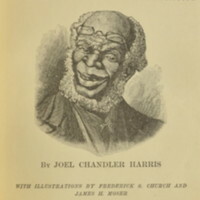 Cover page from Uncle Remus: His Songs and His Sayings the Folk-Lore of the Old Plantation, Joel Harris, 1881, courtesy of Whitmore Rare Books. Women and children near cabin steps, Conrad Donner, Beaufort County, circa 1900, courtesy of Avery Research Center For African American history and culture. 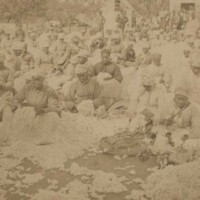 Cotton picking at the yard, Sam A Cooley, St Helena Island, 1879, courtesy of Beaufort County Library. 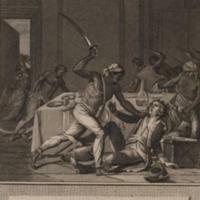 1759 Jamaica slave revolt, illustration from Histoire d'Angleterre Tome troisième, François Anne David, 1800, courtesy of Image Collections: The John Carter Brown Library.